Fourth in an ongoing series examining mental health issues and public schools. Students at Libertyville and Vernon Hills high schools are regularly put into cabs and sent for mental health services through Alexian Brothers Hospital in Elk Grove Village. The one-way trips of 20-plus miles each cost Community High School District 128 more than $140, money spent that gets no state reimbursement. The district had 52 students hospitalized last year, 44 of whom were for mental health needs. Of the students with mental health issues, 27 needed home instruction, which cost the district $46,000. Because most of the students did not meet the state requirement of one hour of curriculum instruction per school day, the district only received $16,000 from the state in reimbursements, according to Kelli Klein-Hartweg, director of special education services for the district. She said it is frustrating school districts throughout the state have to expend their own resources to tend to students with depression and other mental health issues and that the state requires a curriculum component to their treatment. 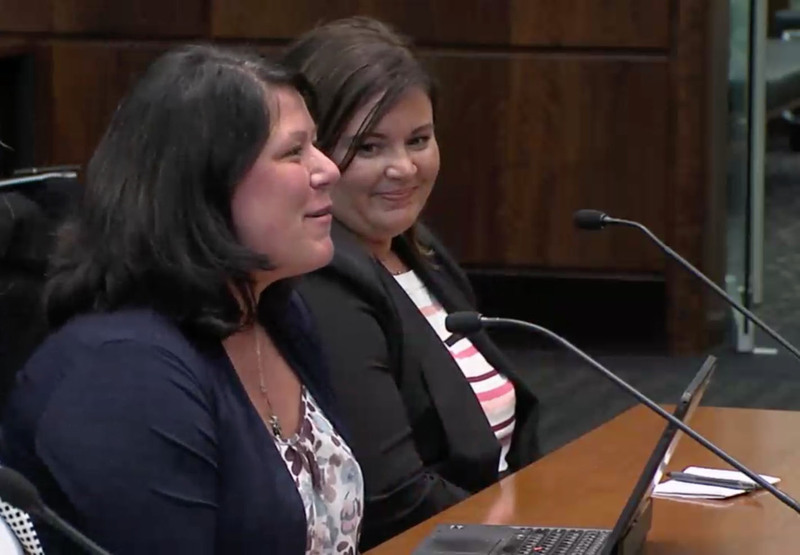 Renee Erickson, director of special education in northwest suburban Township High School District 211, said there are 290,000 students in the state with emotional disabilities. She said 6,000 of those students are placed outside of the school community, oftentimes in other states. She said the state does not pick up a lot of the tab for those students placed in facilities outside of Illinois. Anne Girrante, director of student services in Geneva School District 304, said that the district has averaged about 30 students a year being hospitalized for mental health issues. She said when students are in local hospitals, that care center has its own tutors and charges the district a per-hour fee for tutoring. She said the one hour of instruction provided by a tutor is helpful, but falls short of the education the student would receive if in school. Because most of the students did not meet the state requirement of one hour of curriculum instruction per school day, Community High School District 128 only received $16,000 from the state in reimbursements, according to Kelli Klein-Hartweg (left), director of special education services for the district. “It is tough. A lot of the students who go into the hospital are in high school,” said the representative of the Geneva unit district. “They’re taking six classes. One hour of tutoring is not going to give them the six hours of class they missed. She said more attention needs to be put on the social well-being of students statewide. “If there is not good social-emotional functioning in students, they are not going to make academic gains,” Girrante said. She said for the last four years District 304 has put more of a focus on students’ mental health and really worked at bringing the pupil back into the classroom in a well-thought-out way. She said from the moment a student is released from a hospital setting, the district sets up a reintegration meeting which includes a social worker, special education teacher and administrator. She said while social workers do get one-on-one time with students, the pupils having mental health issues spend most of their days in regular classrooms with teachers. Girrante said a key for schools throughout the state to better deal with students’ mental health issue is figuring out how to set up an environment where kids with anxiety, depression and other issues can fit in. Colleen Cicchetti, executive director of the Center for Childhood Resilience at Ann & Robert H. Lurie Children’s Hospital of Chicago, noted that many school mental health services are being provided by community professionals through school improvement grants or philanthropic grants. She said schools are glad to take community providers as long as they’re going to be in the district for a while. “If they are going to be here for a semester and out or not there the next year, they’d rather use their own internal resources,” Cicchetti said.